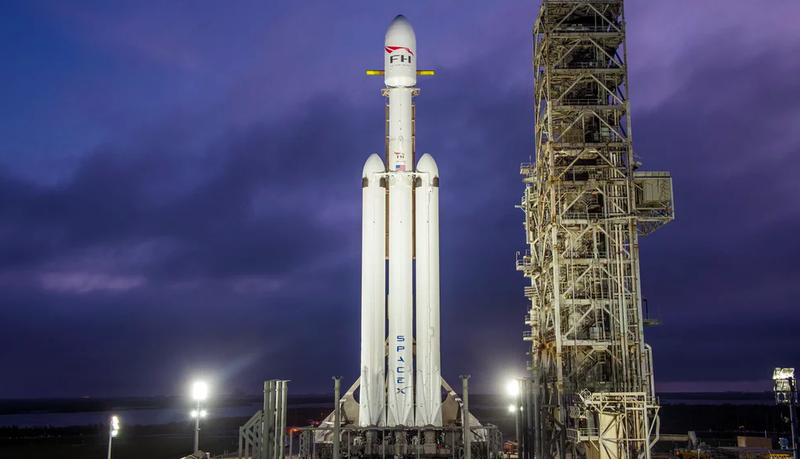 Space X is set to launch their Falcon Heavy rocket today. It's a test launch for manned travel in the future. Elon Musk is leading the way to get folks to Mars. Today's would be an unmanned launch - assuming all goes well and it lifts off. The Falcon Heavy is the most powerful rocket in existence....or ever. The vehicle is essentially three Falcon 9 boosters rolled into one, using a total of 27 engines to generate a maximum thrust equal to eighteen 747s. And even with that, Musk isn't betting on it actually getting into Mars' orbit, which is the plan. Or part of the plan. Maybe he's downplaying it all, or maybe just leveling expectations. Space travel is still a risky game - I've seen Gravity and the Martian. Oh - and that Colombia and Challenger thing. Like the Falcon 9, the Heavy will land its booster rockets upright for reuse - two back at Cape Canaveral and one on a barge out at sea. While I like Musk's vision and execution, the part of the plan I don't like is his putting a Tesla up into space. Yes, the plan is to jettison a cherry red Tesla into space and into Mars' orbit. I get the cross marketing, but launch a car into space and have it land back at the pad and now you have a car that's been into the heavens - which no one would have had, so it would have been worth something by literally being one of a kind and a first. So I do hope the launch goes off. I hope the Heavy makes it into orbit and I hope all the boosters land where they're supposed to land. At that point there is not getting the car back, but what are you gonna do? UPDATE: OMFG. That. Was. Awesome. The launch was perfect. The simultaneous booster landings were goosebump producing. Wicked!